We have all been inundated with news stories that analyze, mock and criticize the personality traits, and often time personality flaws, of Millennials. Known also as the “me generation,” this cohort is larger than the Boomer generation in size – 81.1 million versus 78.8 million Boomers – and they are entering the most productive and lucrative years in their careers, giving them enormous spending power for decades to come. While we might feel like we know all that there is to know about this age group, it’s important to continue learning what makes millennials tick because they remain a very important demographic for advertisers and marketers to understand if they want to successfully connect with them on platforms that play to their interests and goals. What we don’t hear as much about are the generations that follow the Millennials, such as Generation Z (“Gen Z”) and even younger age groups, like generation Alpha (those born after 2010). What follows is more information about these new waves of consumers and tips for advertising executives and marketers to consider as they look to successfully engage with younger generations and build lasting relationships. Let’s start off with Millennials. Known as digital-natives, they are the first generation to grow up completely engrossed in technology, thus they are very tech-savvy and trustful, even dependent, on the use of technology products, software applications, and social media platforms to ease their personal and professional lives. This group is often described as distracted, entitled and self-obsessed, preferring online investment platforms that cater to their individual needs. In addition, they are do-it-yourselfers, as well as environmentally conscious and are attracted to brands that align with their values. Then there are the Gen Z’ers. According to recent data, this cohort, or those born after 1995, will account for 40% of all consumers by 2020, arguably making them more important than their Millennial predecessors. Believe it or not, this generation has an even shorter attention span than Millennials (only 6-8 seconds) because they have grown up in a high-tech, fast-paced environment, which has made them highly selective and decisive. As these personality traits are new to advertising and marketing executives, few brands have started to consider how to capture their fleeting attention and influence their purchasing decisions. They are brand-aware, shopping-savvy and have the ability to absorb information at a startling pace across a multitude of digital devices. Finally, this age group is known to be the “do-gooder” generation, with 60% of the Gen Z population wanting to impact the world through their professional careers, 26% do some sort of volunteer work, and 76% are concerned about the environmental issues like global warming. 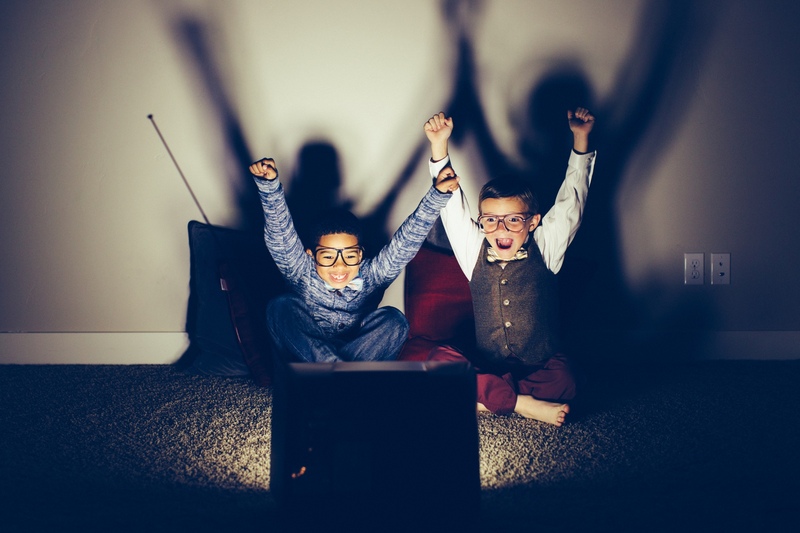 • Do not disturb вЂ“ Though Gen ZвЂ™ers are digital natives, they don’t respond well to digital ads that interrupt what they are doing on their devices. According to recent research, ads that are non-skippable video pre-roll and mobile pop-ups or takeovers really annoy younger generations. Therefore, traditional ads seem to appeal to the new wave of consumers. • Advertise across multiple platforms – Millennials are reported to bounce between three screens on average, while Gen Z’ers utilize five (smartphone, television, desktop, tablet and laptop). Therefore, it’s essential that ads be found on multiple channels because focusing on just one means that you will likely lose these younger generations as they switch from iPhone to their Apple TV. • More pictures please – It’s been reported that “the average Gen Z consumer sees 200,000 marketing messages before they hit the age of 15” so they are experts at quickly boiling down ads to determine which brands matter to them. Therefore, advertisers need to ensure the content they are curating makes these younger cohorts comfortable. Ads with GIFs work well, as proved by some brands like Denny’s, Wendy’s and Bud Light. • Ads need to be 8 seconds or less – Regardless of whether it’s a video or a photo on Instagram, tomorrow’s consumers will want to know what you are trying to sell them, why they should care and the ways in which the product or service offering will help them in 8 seconds or less. Brands should invest in ad talent that can cater to these unique needs of the younger generations in order to be successful in the future. As the times change, so too do the ways in which consumers collect information and absorb content. For instance, the next budding consumer, generation Alpha (those born between the years of 2010 and 2025), will be formally educated, technological experts and potentially the wealthiest generation ever to exist. The oldest segment of this age group was born in 2010, the year the iPad was introduced to the market, and the same year the Instagram was created. Clearly, not only will they be more technologically advanced than previous generations, but their ability to utilize technology quickly and efficiently will be unprecedented, as technology will not be viewed simply as a tool but a part of each individual’s DNA. Thus, understanding the values and interests of those individuals you are selling your brand to is tantamount to success, especially now that younger generations expect everything to cater to their needs. The above tips should help companies and advertising executives get started as they plan for content in 2018 and beyond. At AdStream, we can help you get your message across to a broad swath of consumers utilizing multiple platforms and a streamlined and efficient workflow. For more information on how we can help you manage and distribute your marketing materials and ads, please contact us here.